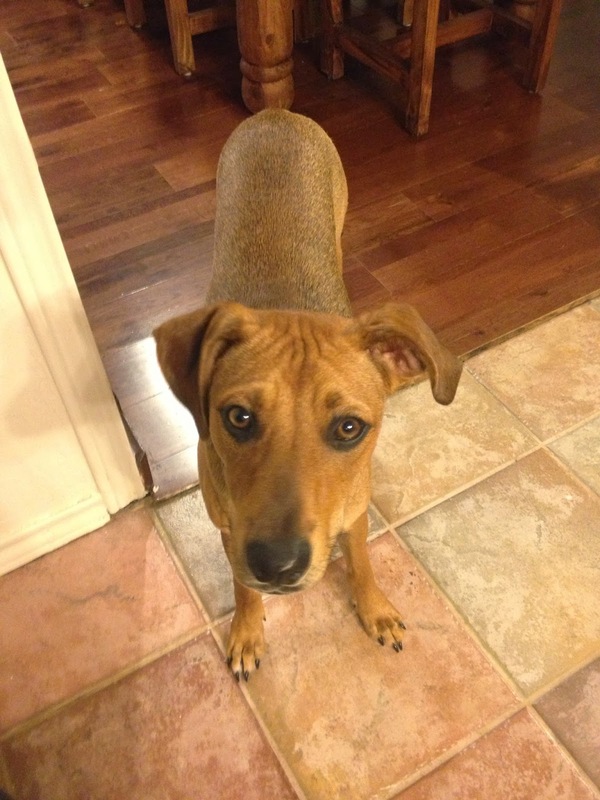 Mack is a 10-month-old hound pup who's looking for a new place to call home. He's already housebroken and crate-trained, plus he has great manners! He gets along well with other dogs, and he loves to snuggle with people as well. Mack is a medium-sized dog, weighing 36 pounds. He's neutered and up-to-date on his shots. He would make a great family member in any home. Just look at those precious eyes! To adopt Mack, please click here. (Last week's Canine Corner entry was Patches.) Please help spread the word about these sweet dogs who are available for adoption through DFW Rescue Me. Woof.